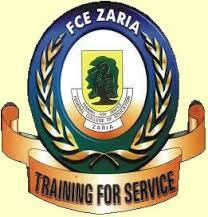 The Federal College of Education (FCE) Zaria NCE & Degree Admission List of candidates who have been offered provisional admission for 2018/2019 Academic Session is out. WE are using this platform to inform all the applicants who applied for admission into The Federal College of Education Zaria, (FCE ZARIA), that the institution has released the 1st batch admission list of candidates admitted into the Institution for the 2018/2019 academic session. Step Click on “Check Admission” button to view your admission status. Please sir,will want you people should help us please sir,will are waiting for admission.